About Lotte Mikkelsen - Lotte Mikkelsen - Your Everyday Laughter Queen! Lotte Mikkelsen’s claim to fame is that she has trained more than 1,000 laughter professionals in the UK. Furthermore she has been leading over 1,000 corporate workshops. Those are just numbers and not really a true reflection of how awesome this work is. In the bigger scheme of things the numbers are disappearingly small considering the number of people in the UK and the number of workplaces, too. Lotte’s experience in working with businesses and organisation relates back to almost 20 years of working in the IT sector. She held various roles in technical support, sales, marketing, and management from late 1980s until 2010. 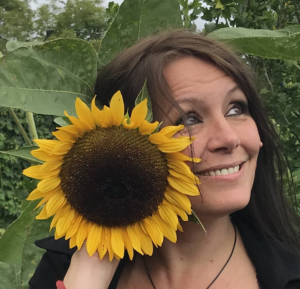 From early years in the laughter sector she started teaching and she became the only Laughter Yoga Master Trainer in the UK in 2012. Lotte’s work ethics, passion, compassion, integrity combined with a genuine wish to help people find peace through laughter makes her humble and grateful for every opportunity. Lotte Mikkelsen played, and continues to play, a key role in the development of laughter-based training and workshops. You can trust her with your staff at any point in time. Laughter Yoga is slowly becoming a choice of training for workplaces looking to boost staff wellness. It is not only about the laughter. It is about finding ways of becoming more resourceful in all dealings in life and at work. Lotte’s promise is working together to improve individual and team health, morale and happiness levels. All of which are keys to life both professionally and personally. Apart from laughter and technology she has studied holistic therapies, talk therapies, meditation and other techniques. Lotte comes as a total package of knowledge and wisdom. In addition Lotte Mikkelsen is completely down-to-earth. Please visit her in these pages ‘Lotte Mikkelsen – Your Everyday Laughter Queen (www.lottemikkelsen.com)’ and on ‘UnitedMind Ltd (www.unitedmind.co.uk)’ to find out more about Lotte and her work. … and a whole lotte more! My experience comes from more than 20 years of working for national and international corporations mainly in the IT sector. Through my work in technical, sales and marketing environments I gained experience in dealing with people and stress at all levels in any organisation. I have worked with public and private sector organisations as well as private groups and individuals through my work as a Laughter Yoga Facilitator and Laughter Therapist, which gives me credibility in my claim to know what I do when I do it, allowing me to take people through an experience of laughter and sometimes tears and other stuff. When you allow laughter to flow things get messy! In 2002 I did something I never thought I would do but I was curious to find out why my sister found footwork so compelling so I completed my training as Holistic Therapist specialising in Reflexology. The same year I also trained as Reiki Healer (in 2005 as Reiki Master Teacher), Crystal Healer and Personal Laughter Coach for health and well-being. I founded UnitedMind in April 2002 as a laughter and holistic therapy providing organisation. From early 2003 I ran a daily laughter session on the phone with a friend and Laughter Colleague as well as combining laughter techniques with reflexology and reiki treatments. The background for the laughter experiment wneral public and start as to fully experience and understand the benefits of laughter for no reason in order to promote the techniques to the getransforming communities based on health, happiness and well-being. Since mid-2003 I have facilitated laughter workshops for team building, stress management, improved communication, motivation and confidence boosting in private groups as well as large multi-national and international organisations. Running a laughter club is an adventure that requires perseverence and stamina when scepticism is the top of the agenda and in 2005 the Laughter lub International in St. Albans celebrated its first anniversary. The club ran monthly and many regular laughers recommended laughter workshops for their friends, communities, and workplaces. My laughter workload started growing. I was so excited and loved every minute of my laughter venture. In 2006 I was appointed Laughter Ambassador by Dr. Madan Kataria (Founder of the International School of Laughter Yoga) because of my work in promoting laughter for improving health and wellbeing throughout the UK. It was such a blessing to be recognised by the top-man, and it was totally unexpected – those are the best blessings. The appointment in 2012 as Laughter Yoga Master Trainer for the UK was a great honour and a real quality mark on my abilities as Laughter Yoga Teacher and Facilitator. After succesfully spreading Laughter Yoga and teaching the techniques for more than 10 years it was the next natural step on the journey to inspire positive and lasting change through laughter and joy. I felt unstoppable and still do! I am still so excited. In 2013 the newly trained Laughter Yoga Teachers started becoming successful in teaching new Laughter Yoga Leaders and I was excited to be part of the ongoing communication and coaching throught the initial teaching process. I always aim to be there for my teachers and leaders just like they are there for me! We are a community of connections through laughter and joy. Being a Mumpreneur Award Finalist was another great highlight in 2013 when the ongoing support I provide saw me and UnitedMind entered in the category of Best Interactive Business. In 2014 I began to further my activities in the North-East of England bringing renewed focus to the region in terms of spreading Laughter Yoga for health and happiness. There was so much going on on the laughter scene and in 4th quarter of 2015 I became a co-founder of the Business Expert Group which was established with high-profile members to provide professional business services. 2016 was a year of upheaval in many ways but also a year showing that I am the Laughter Yoga Master Trainer not to be dismissed. With market changes following political choices it was a real challenge to keep up with financial concerns. Yet, there was an increase in the number of people who came to train as Laughter Yoga Leaders, Teachers or Therapists and it showed me once again that perseverance pays off. 2017 begun with a real tribute from Boots Health and Beauty Magazine. A magazing that reaches millions of readers across the UK. In the summer of 2016 I laughter coached Robyn, a freelance journalist writing for Boots’ magazine and the story came out in January 2017! A great story! 2018 kicked off with a BarclayCard campaign to highlight the fun in trying something new every day. The Playing Human Conference opened the door to the first of its kind with play and serious learning for professionals from near and far. Speakers like Robert Holden, Patch Adams, Pady O’Conner, Linda Leclerc and many more internationally renowned key notes shared their wisdom. A real next-level milestone! 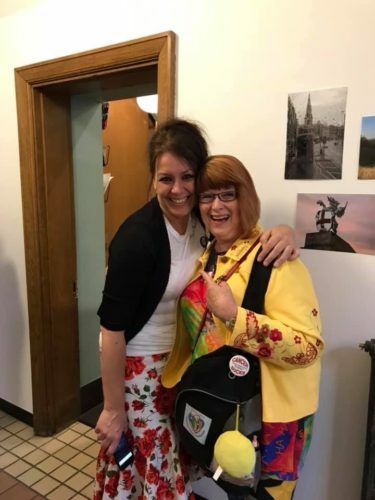 Lotte Mikkelsen, that’s me, has been an Affiliate Member of the Society for Training and Education (former Institute for Learning) since 2010, and is Affiliated to the Dr. Kataria International University of Laughter Yoga. UnitedMind is a corporate member of ISMA (International Stress Management Association). My ambition is to make Laughter Yoga and therapeutic laughter available to everyone. I believe that my compassion combined with my passion drives my work along with a meticulous delivery based on the deepfelt desire to make a difference in the world. Totally pro-change and pro-peace! Today, my company, UnitedMind Ltd – the Laugher Yoga Training and Workshop Company, offers a broad palette of corporate services for wellbeing and happiness of individuals and organisations.